When it comes to satisfaction with the new-car buying process, U.S. consumers rank European brands the best in the industry. 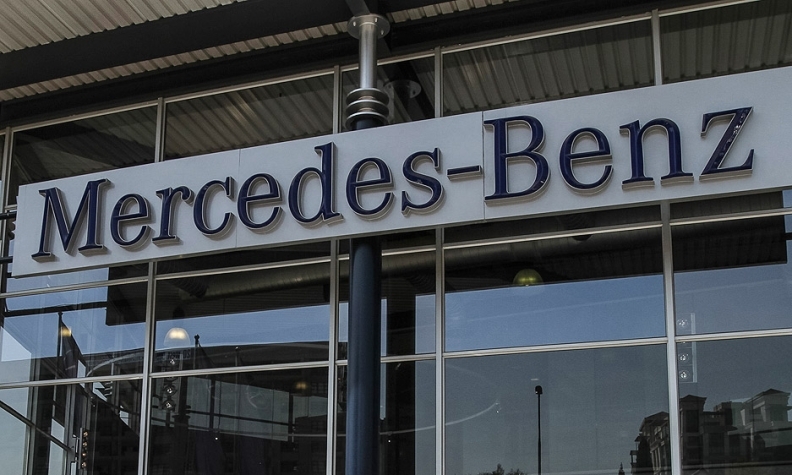 Mercedes-Benz ranked highest in sales satisfaction among luxury brands in the J.D. Power 2014 U.S. Sales Satisfaction Index Study released today. Mercedes scored 761 points on the index and had the largest improvement over last year, jumping 33 points. For a fifth consecutive year, Mini ranks highest among mass-market brands, with a score of 727. That was a 9-point increase from 2013. Among luxury brands, Infiniti placed second, up from fourth place last year. Jaguar, which topped the list of luxury brands last year, slipped to third place, followed by Lexus and Porsche. Scoring below the luxury-segment’s average were, in order: Cadillac, BMW, Audi, Volvo, Lincoln, Land Rover and Acura. Buick had the best improvement among the mass-market brands. Its score increased 32 points from a year earlier, to 726, putting it second among mass-market brands for the second straight year. Buick was followed by Chevrolet, GMC, Fiat, Toyota, Honda, Volkswagen, Hyundai and Ford, all of which scored above the mass-market brands’ average. Mass-market brands that fell below the segment’s average were, in order, Nissan, Chrysler, Subaru, Mazda, Scion, Kia, Jeep, Dodge, Ram and Mitsubishi. General Motors brands thus captured three of the top four mass-market spots, while Chrysler Group brands took three of the bottom four spots. Overall, the industry improved its sales satisfaction scores, with the average luxury-brand score rising 16 points and the average mass-market brand score up 12 points. Only two brands saw their scores decline: Kia’s score slipped 2 points to 659 while Porsche’s score eased 1 point to 738. Steve Cannon, CEO of Mercedes-Benz USA, said it was the first time in 24 years that the brand has clinched the top spot. Last year, Mercedes was No. 5 among luxury brands. Cannon credited the accomplishment to the launch of numerous programs to improve customer service during the past three years. Mercedes also got top scores for its delivery experience. The most important key performance indicator in the sales process is the salesperson’s ability to completely understand the customer’s needs, J.D. Power said. This measure is met 86 percent of the time and, when met, it can boost overall satisfaction by up to 104 points. The 2014 U.S. Sales Satisfaction Index Study, now in its 28th year, is based on responses from 29,805 consumers who bought or leased a new vehicle in April or May 2014. It measures satisfaction with the sales experience among new-vehicle buyers and so-called rejecters -- those who shop a dealership but purchase elsewhere. J.D. Power bases its buyer-satisfaction scores on four factors in this order of importance: Working out the deal; salesperson; delivery process; and facility. Rejecter satisfaction is based -- also in order of importance -- on the salesperson; fairness of price; experience negotiating; variety of inventory; and facility. J.D. Power calculates satisfaction on a 1,000-point scale. J.D. Power found that more dealers are hiring product specialists to demonstrate vehicle features and technology. Industrywide, 15 percent of customers indicate they worked with both a salesperson and a product specialist. That is especially true for buyers of luxury vehicles, where 19 percent of buyers worked with a product specialist compared with 15 percent of those buying non-luxury cars. The study said regardless of segment, overall sales satisfaction is slightly higher among buyers who work with a product specialist than among those who work only with a salesperson. The study also found that more dealership employees are using tablets when working with customers. The study showed 22 percent of dealerships use a tablet when working with customers, vs. 18 percent a year earlier. J.D. Power said the use of a computer or tablet in communicating price and payment helps boost satisfaction for working out the deal. “With such tech-heavy vehicles today, introducing product specialists into the sales process helps improve the delivery process and customer understanding of how to operate key features,” said Chris Sutton, vice president of the automotive retail practice at J.D. Power, in a media statement. But dealerships should be “mindful when dividing a customer’s time between a salesperson, product specialist, and the finance and insurance representative. That’s a lot of customer touch points,” he said.